For the Patrick O'Brian novel, see Post Captain (novel). In the Royal Navy of the time,[when?] an officer might be promoted from commander to captain, but not have a command. Until the officer obtained a command, he was "on the beach" and on half-pay. An officer "took post" or was "made post" when he was first commissioned to command a vessel. Usually this was a rated vessel – that is, a ship too important to be commanded by a mere commander – but was occasionally an unrated one. Once a captain was given a command, his name was "posted" in The London Gazette. Being "made post" is portrayed as the most crucial event in an officer's career in both Forester's Horatio Hornblower series and O'Brian's Aubrey-Maturin series. Once an officer was promoted to post-captain, further promotion was strictly by seniority; if he could avoid death or disgrace, he would eventually become an admiral (even if only a yellow admiral). A junior post-captain would usually command a frigate or a comparable ship, while more senior post-captains would command larger ships. An exception to this rule was that a very junior post-captain could be posted to command an admiral's flagship, which was almost always a large ship of the line. The admiral would usually do this to keep his most junior captain under close observation and subject to his direct supervision. Captains commanding an admiral's flagship were called "flag captains". One example of this is the appointment of Alexander Hood to the command of HMS Barfleur, flagship of his brother, Admiral Sir Samuel Hood. Sometimes, a high-ranking admiral would have two post-captains on his flagship. The junior would serve as the flag captain and retain responsibility for the day-to-day operation of the vessel. The senior would be the fleet captain, or "captain of the fleet", and would serve as the admiral's chief-of-staff. These two captains would be listed in the ship's roll as the "second captain" and "first captain", respectively. After 1795, when they were first introduced on Royal Navy uniforms, the number and position of epaulettes distinguished between commanders and post-captains of various seniorities. A commander wore a single epaulette on the left shoulder. A post-captain with less than three years seniority wore a single epaulette on the right shoulder, and a post-captain with three or more years seniority wore an epaulette on each shoulder. In the O'Brian series, Aubrey "wets the swab" – that is, he celebrates his promotion to commander and the acquisition of his "swab" or epaulette with the consumption of copious amounts of alcohol. Note that the term was descriptive only: no-one was ever styled "Post-Captain John Smith". ^ "The London Gazette - Treasure Trove of Historical Information". London Gazette. Retrieved 2011-05-30. Lieutenant commander is a commissioned officer rank in many navies. 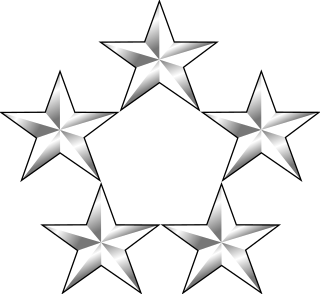 The rank is superior to a lieutenant and subordinate to a commander. The corresponding rank in most armies and air forces is major, and in the Royal Air Force and other Commonwealth air forces is squadron leader. Epaulette is a type of ornamental shoulder piece or decoration used as insignia of rank by armed forces and other organizations. In the French and other armies, epaulettes are also worn by all ranks of elite or ceremonial units when on parade. It may bear rank or other insignia, and should not be confused with a shoulder mark - also called an shoulder board, rank slide, or slip-on - a flat cloth sleeve worn on the shoulder strap of a uniform. The Good Shepherd (1955) is a nautical and war novel by C.S. Forester, best known as the creator of fictional Royal Navy officer Horatio Hornblower. The Commodore is a Horatio Hornblower novel written by C. S. Forester. It was published in the United States under the title Commodore Hornblower. Hornblower in the West Indies, or alternately Admiral Hornblower in the West Indies, is one of the novels in the series that C. S. Forester wrote about fictional Royal Navy officer Horatio Hornblower. The Bermuda Sea Cadet Corps was created as a registered charity under the Bermuda Sea Cadet Association Act, 1968. The first unit had actually been created two years earlier.